At Erin Farm Feeds we are committed to producing consistently high quality feed using only the finest of pre-selected ingredients. 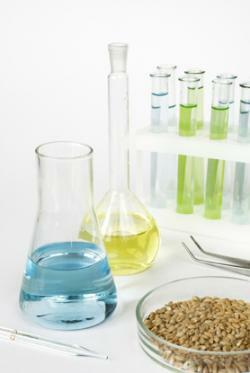 Each raw material must meet strict criteria on palatability, consistency and nutritive value. Energy is derived from cooked and rolled cereals, along with highly digestible fibre sources and vegetable proteins. The combinations of minerals, vitamins, trace elements and specific feed additives that we include are rigorously trialled and tested for performance and safety. Our feed is formulated using advanced precision computer technology, ensuring each batch of feed contains accurate inclusion levels and provides excellent nutrition to the animal, as well as good value for money for the farmer. State of the art milling equipment allows for the production of high quality feed, whether its coarse feed, pellets or mash. 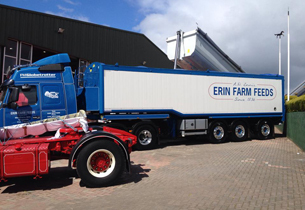 We, at Erin Farm Feeds, take great pride in the high quality of our products, and as such, appreciate the importance of complying with legislation and regulations for feed safety and quality assurance. Our mill and products are independently audited by Bord Bia, UFAS and HACCP schemes, as well as other inspectors from along the supply chain. Additionally, the Department of Agriculture also assess and approve our products to ensure we meet both Irish and EU legislation. Medicated feed is available on prescription. Please contact the mill for more information on medicated feed. Samples of raw materials and finished rations are regularly tested in approved laboratories by trained technicians, to ensure we manufacture consistently high quality products. From the purchase of raw materials, to the delivery of our finished product to the farm, we take every step possible to ensure we can continue to produce excellent quality feed that our customers can trust.